French intellectual thought and activism has made its way into U.S. conversations since even before Alexis de Tocqueville made his observations of U.S. democracy back in the early 1800s. Today, U.S. intellectuals and activists readily make use of the ideas of Michel Foucault, particularly his analyses of discourse and the connections between power and knowledge. Bourdieu, and French post-structural feminists such as Luce Irigaray, Julia Kristeva, Hélène Cixous have influenced U.S. intellectual methods of analysis. Recently, the work of Thomas Piketty, a French economist, published his notable book, Capital in the Twenty First Century, in which he lays forward the connection between economic growth and the concentration of wealth. Missing in his analysis, and indeed in much of French thought, is the incorporation of race and racial discrimination as a key variable that adds to the explanation of inequality, including income inequality. U.S. intellectuals and activists have more expansive research and analysis, both historical and current that incorporates race as a key concept for understanding not only income inequality, but dynamics of cities as well. 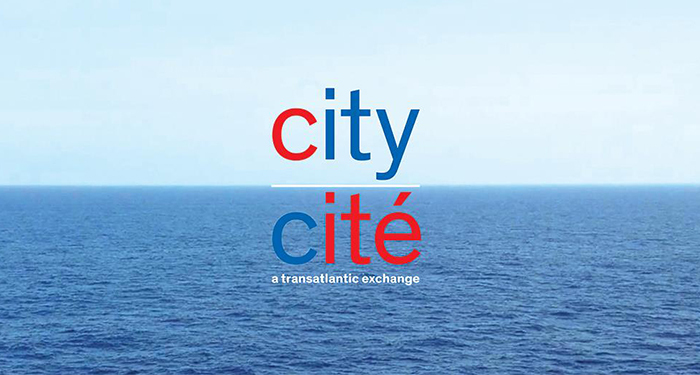 Great Cities Institute is very excited to be welcoming intellectuals and activists from France in the Symposium, City Cité: A Transatlantic Exchange. The French visitors will participate in panels with both esteemed UIC professors and area activists. Thomas J. Sugrue, our keynote speaker, has written several books on race, inequality and urban policy. We look forward to his presentation at 11:15 a.m. on “The Urgency of a Transatlantic Exchange.” Sugrue will also participate in a panel entitled, “Building Bonds of Trust across Racial and Ethnic Lines.” Other panels will provide insights and discussion on employment issues in an era of austerity and neighborhoods in transition. There is some urgency in this transatlantic exchange as transatlantic trade agreements are being debated on both sides of the ocean with much at stake including the well being of local economies and communities. Austerity policies, exacerbated inequalities, concentration of wealth, rising violence, and threats to well being are all topics that will be discussed during this very important symposium. Please join us for Day One at UIC. If you are able, you can also head down to the University of Chicago for Day 2. We thank the Consulate General of France in Chicago for this wonderful partnership and invite you all to join us. Please see this link for more information and to RSVP. I enjoyed the event and was part of the Twitter group. Thank you to all of the organizers and speakers. I invited NodeXL to create a graph showing the Twitter activity. You can see it at https://nodexlgraphgallery.org/Pages/Graph.aspx?graphID=56558 Is there a web site with links to web sites for all of the people who were speakers and on panels? If so I’d like to point to that from my own blog where I’ll also be trying to make sense of the NodeXL map. Thanks for your comment, Daniel. Before too long, we will post links to the people who were speakers and panelists. Would love to have a link to your blog.